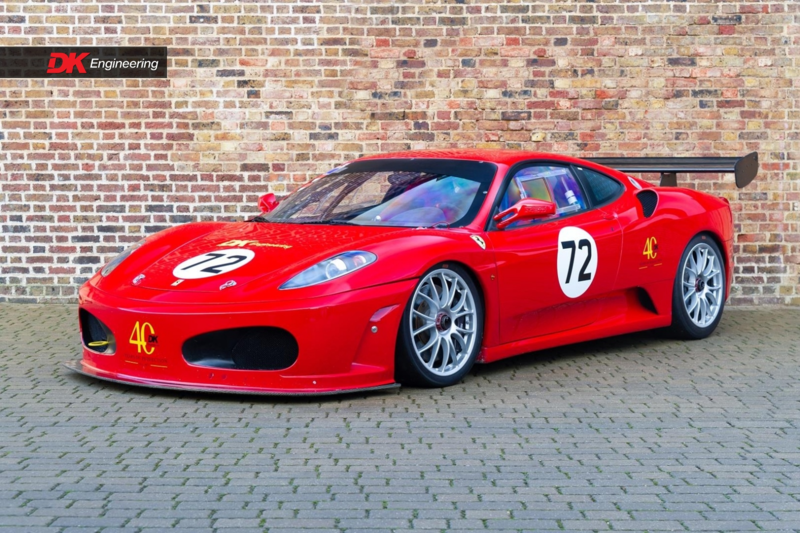 Ferrari created the F430 Challenge, a track only variant of the hugely popular F430, to boost its on circuit performance by extensive weight reduction and suspension changes. Just like in previous Ferrari Challenge cars the engine has largely remained the same as on the production road cars. The F430 challenge does however, breathe a little easier by means of a racing exhaust system. Some engine management tweaks and fine blueprinting increase the power too. The body styling has received very few styling changes with just the Formula One inspired single centre lock BBS wheels hiding enormous carbon brakes. This 2008 factory built Challenge car has had just 3 owners from new. 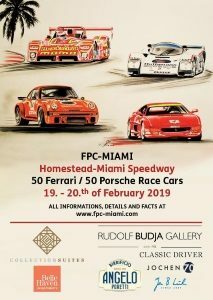 The first two owners used the car for track days only however with the third owner the car was entered in a select few rounds of the Ferrari Pirelli Open where it was most successful and scored a couple of class wins. Following this and with just 9,000 kms covered DK sold the car in 2016 to the current owner as part of his stable of Ferrari race cars. 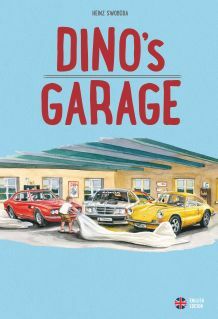 In the current custodians ownership the car has been professionally stored and maintained by DK Engineering with a no expense spared mantra as evidenced by invoices on file totalling in excess of £25,000 in the current ownership. Used sparingly for a handful of track days, it participated in two rounds of the up and coming, AMOC GT Challenge series in 2017. At both rounds the car scored outright wins, and latterly at Silverstone, a “perfect weekend” of Pole Position, Overall Race Win and fastest lap. The car has always been maintained with a cavalier regard for expense and as such is in superb and “on the button” condition. It has had the necessary upgrades and is fitted with the essential upgrade FF Corse Aero-Kit; it is accompanied by a comprehensive spares package including 8 spare wheels and tyres. 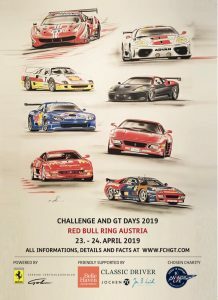 The car is instantly eligible and competitive for the new international Ferrari Club Racing Series, the AMOC GT Challenge and for the Global Endurance legends series which is fast gathering pace, a trip to the Red Bull Ring for the Ferrari only “Challenge and GT days” event would also be an opportunity for the new owner.